A comprehensive survey of elite women’s players has raised questions about the future of the international 15s game. The study, carried out by International Rugby Players, is the most extensive in recent years with players from all top international teams* taking part. The majority of players (68%) believe the main focus for national unions is now on Rugby Sevens and over 75% say there are not enough 15-a-side games or tournaments. Three-quarters of those surveyed also feel their unions are not doing enough to promote the women’s game. “The survey shows that due to the focus on Sevens, as well as Olympic funding and a lack of tournaments in certain regions, players feel the 15s game could suffer in the long term. Notably, 85% of those receiving any remuneration for Rugby are participating in the Sevens version of the game and of the specialist 15s players, only 15% are receiving any income from the sport. READ MORE: Who’s Playing the Women’s Game? 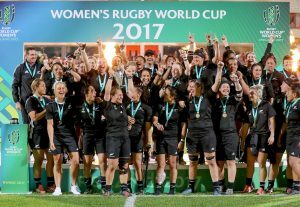 Meanwhile, the vast majority of players (93%) welcomed the new Women’s Rugby World Cup format which features a knockout format for the 2021 edition along with more rest days. The study, conducted in association with Rugby World magazine, also gives a comprehensive insight into the economic realities for players, their lifestyle choices, their views on the Sevens series and the mental and physical load associated with playing the game at the elite level. *Teams surveyed included all teams on the Women’s Sevens Series along with teams participating in last year’s Women’s Rugby World Cup.